Friederike Manz has been providing legal advice in the field of protection and exploitation of intellectual property rights for well over fifteen years. She works with clients on the　creation of global trademark and branding strategies, as well as the development of programs to enforce their intellectual property rights and protect against infringement of their trademarks, trade dress and copyrights　in Germany and internationally. This includes　domestic and international trademark counseling, clearance, prosecution, enforcement and litigation, as well as trade dress. Friederike Manz’s practice also includes significant work in IT and Media Law, including drafting and negotiating Internet and IT contracts such as provider, licensing and maintenance agreements. In addition, Friederike Manz regularly counsels design agencies, graphic artists, web designers and other creative clients with regard to communication design issues. She has committed herself for many years for the interests of designers and advises clients on the protection of creative works as well as the drafting and negotiation of designer’s contracts (agency contracts, licensing contracts, etc.). Lawyer in several Munich law offices and an international law firm with a focus on trademark law (administration and enforcement), industrial designs (administrative and judicial practice), unfair competition law (advisory and judicial practice), Internet law (Web Audit), and IT law (contract construction). 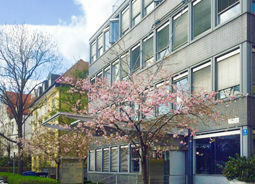 Researcher in the Americas Division of the Max Planck Institute for Foreign and International Patent, Copyright and Competition Law, Munich; PhD with Prof. Gerhard Schricker on “Die Haftung für Urheberrechtsverletzungen im Internet nach deutschem und amerikanischem Recht”.